How Can You Maximize Your RFMA Membership? Join us on these three Maximize Your RFMA Membership webinars to learn about some of RFMA's great member benefits and resources. Learn how to best utilize and access all the resources on the RFMA website. Learn how to navigate and connect on SocialLink, RFMA’s online social community. Learn what it means and how to achieve your CRFP (Certified Restaurant Facilities Professional). Click here to register today for these events! Don’t miss our upcoming RFMA-U Webinar on CO2 Safety Monitoring Requirements! This interactive session is designed to provide attendees with a basic understanding of the history behind monitoring requirements, the new codes and how they are interpreted, and help attendees gauge their organization's risk and exposure for the future. Presenter: Josh Pringle, CO2Meter, Inc.
Spring into the Season and Achieve your CRFP Designation! The CRFP (Certified Restaurant Facilities Professional) designation will set you apart from your peers, conveying to others your expertise in the restaurant facility management industry. Through RFMA’s online CRFP Prep Course, attaining your CRFP in 2019 can be possible. Receive a $100 discount when you sit for the CRFP Exam by August 31, 2019. Contact Debi Kensell at debi@rfmaonline.com to learn more about this offer and the process of attaining your CRFP. *This code is only valid for current RFMA members. U.S. restaurant industry sales will reach a record high of $863 billion this year, up 3.6% over last year, according to a report released today by the National Restaurant Association. Not only does diversity correlate with better bottom-line results, but it also leads to greater innovation and creativity, largely due to the lack of “group think”—in which individuals from like backgrounds tend to approach problems the same way and propose similar solutions. As the fast-casual industry continues to evolve, one thing has become more apparent to every level of the business; high-quality food partners are increasingly integral to guest satisfaction and to the success of restaurant brands as a whole. Famed ramen chef Ivan Orkin stresses the importance of customer care at the onset of food delivery and beyond. 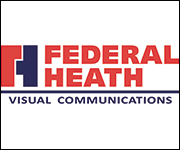 Federal Heath provides reliable and cost-effective maintenance for exterior signs and lighting. Our service programs are designed specific to each customer, creating the perfect fit for any requirements. We offer unparalleled, five-star customer service and fast response nationwide. 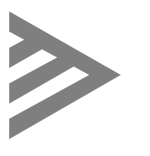 For over 117 years companies have trusted us with their brand identity needs. All signs point to Federal Heath. On April 1, 2019, Dutch Bros Coffee reopened its doors in Paradise, Calif., nearly 5 months after the community was devastated by wildfires. This was California’s most destructive fire in history, with over 14,000 homes lost and approximately 25,000 people affected. Following a successful pilot program last year, Taco Bell is throwing 600 hiring parties later this month to attract more applicants amid a challenging labor market. Jersey Mike’s Subs said it raised a company record of $7.3 million to help charities around the country during the March Month of Giving, raising more than $1 million more than the year-ago fundraising round. industry. He indicates several areas of future growth with CCTVs and revealed that internal theft deterrence technology is making great strides.